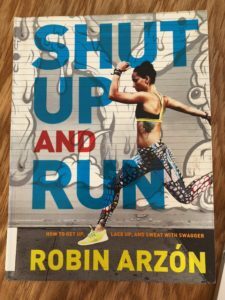 Now for the most important question of this book: why do you run? If you identify the “why” then the “how” will follow. If you’ve had a real life conversation with me lately you’ll know these are pertinent questions. Sadly, I didn’t find any obvious answers in this accessible, useful quick read. Or….perhaps they’re embedded in the title itself.